Hire a Reliable Motorcycle Accident Attorney Oceanside, CA. Whenever you mount your motorcycle, you stand at least a slim chance of being a victim of an accident. Not necessarily because you are careless but probably because someone else recklessly crashes into you or defies the traffic laws. 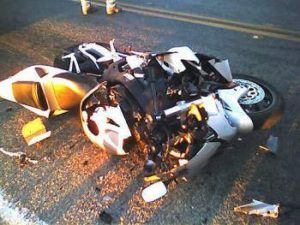 In such an instance, you need to involve motorcycle accident lawyers quickly if you are to acquire full settlement for the damage done to you both physically and materially. Rawa Law Group, one of the most trusted legal firms in California, has a team of reliable attorneys who cover the whole of Oceanside, CA and provide injured individuals with the necessary legal presence to fully assert their accident claims and acquire payment. At Rawa Law Group, you can enjoy easy and free access to our services without having to pay a dime except until we have finally won your case. We have loads of testimonies from clients whom we have helped in recovering several million in the past. We have more than 50 years of combined experience in this field and we have dealt with every kind of motorcycle accident cases before. We are known for being trustworthy and reliable as well as being cooperative with our clients and we keep them informed about everything we do. As a bonus, we also give our clients free ethical legal advice with no concealed charges.